"A lot of people from my village started sending their children to schools after I cleared my Class 10 exams. I think those parents are probably thinking if a Mahadalit’s son can achieve so much, why can’t their children." 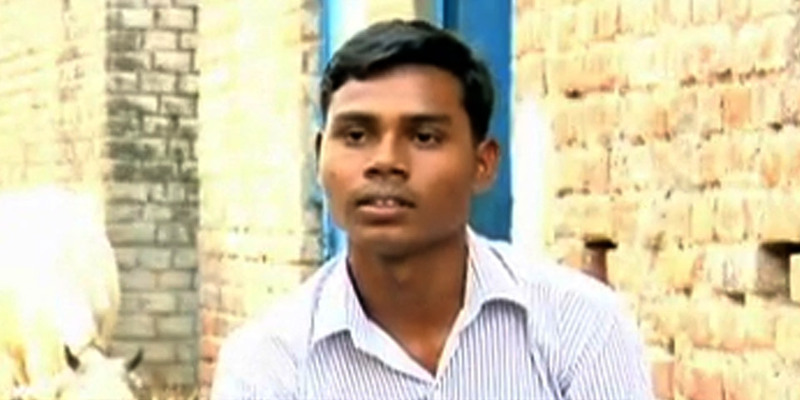 Subhash Kumar recently cleared his Class 10 exams from Dobhi Village School in a village called Khera in Bihar’s Bodh Gaya district. He pursued his education despite being discouraged by people in his village because he’s a Mahadalit. “People don’t look at me the right way because I am seeking education despite belonging to the Mahadalit caste”, Kumar says. He finds reassurance in the words of his teacher – “Sir says I am a good student and am doing well for myself by attending school”. Subhash has given hope to many, many children in this village, says his father, Sundar Manjhi. “Earlier, children would waste their time playing games like gulli-danda, or keep loitering around. After my son cleared his Class 10 exams, a lot of parents started sending their children to school as well. About 75% of the children in this village attend school now”, Manjhi adds. Subhash thinks that the sentiment behind driving parents to send their children to school is that if a Mahadalit’s son can achieve so much, why can’t their children. Lalo Devi, Subhash’s mother, is extremely happy and proud of her son’s achievements. Having worked as a daily wage labourer all her life, she hopes that her son doesn’t have to take up the same profession and goes on to become a collector. Subhash hopes to land a decent job after he completes his schooling and wants to sustain the family from his earnings. Bravo, you will be a real winner if you deny calling yourself ‘Mahadalit’ from now on. Then only people will get to know that education is the only way to destroy the barrier of the cast system.